on the grounds of Penn Manor Middle School in Lancaster, Pennsylvania. 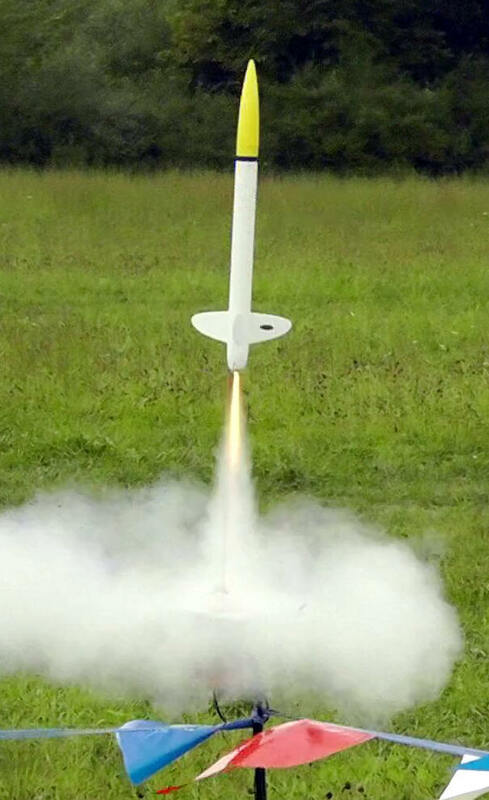 Our launch equipment consists of an 8 pad launch controller for model rockets and a four pad relay system for high power rockets. Up to eight pads can be available for 1/8" to 3/16" rods with four additional pads available for 1/4" rods and up. Our Penn Manor facility is limited to 160nt-sec of total impulse and the models can weigh up the NAR safety code limit of 3.3lbs. Some launches are held at one of two other facilities (see below for directions). Please check the SPAAR calendar for launch locations. Note: This PDF can be filled out electronically and printed prior to a launch. You can fill in your name and other information that may not change from flight to flight. Note: Due to school construction, location of launch area may vary. Last launch location was located off of Charlestown Rd. just past the new school building. Look for cars parked in grass just off main road. From Lancaster follow Route 72 North to Route 322 West to Route 934 North to US 22 West Approx 8/10 of a mile turn right on Harrison School Road and follow almost to the end. We are 2500 feet from the 443 interchange on the left side. Boundary Road. Follow boundary Road until the dead end then, turn left on Route 443. Approx 2000 feet, turn left on Harrison School Road and we will be on the right side approx 2500 feet in. Google maps coordinates are 40.477525,-76.931505 for Fort Halifax across the street. If you use mapquest, it might tell you to take RT255N over Peter's mountain, we recommend you avoid that route. Going over the mountain requires you to make two hairpin turns, one at the top of the mountain and one at the bottom. The other way to go is to go past the RT 225 exit about 4 more miles to RT 147 North. By going this way you avoid going over the mountain and actually go around it. There is one sharp right turn on RT 147, but nothing like on RT 225. RT 147 North to Stop light (the only stop light) make left. Still on RT 147/RT 225 North. This also now 2nd Street. Go about 1 mile. Field on right.